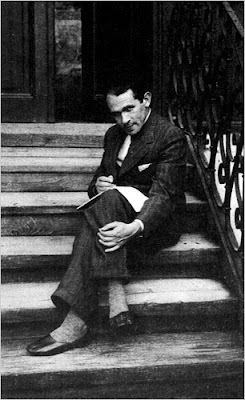 The current issue of The New Yorker (June 8 & 15 2009) has a heartbreaking account of the death of the singularly fascinating Polish writer and artist Bruno Schulz. Schulz, an exceedingly quiet and unassuming schoolteacher, was shot by an SS officer in a Jewish ghetto, but the story surrounding how and why he was shot entails elements of forced creativity and callous destruction. Schulz had a protector, a Nazi officer who coerced him to create painted murals for his child's nursery. The murals were discovered by a documentary filmmaker in 2001 and displayed in New York earlier this year. The damage they suffered coupled with the Romanesque subject matter gives them the appearance of unearthed frescoes from Pompeii. An age in which everyone understands that killing a person destroys a singular work of art, which can never be replicated.